Have you ever wondered what you need to build a real culture of innovation? I'm not talking about ping pong tables and trust falls. I’m talking at the base level or culture. The invisible glue that makes it happen. Well, thanks to our guest Yoram Solomon, it’s not so invisible to us anymore. In fact, it’s quite tangible. 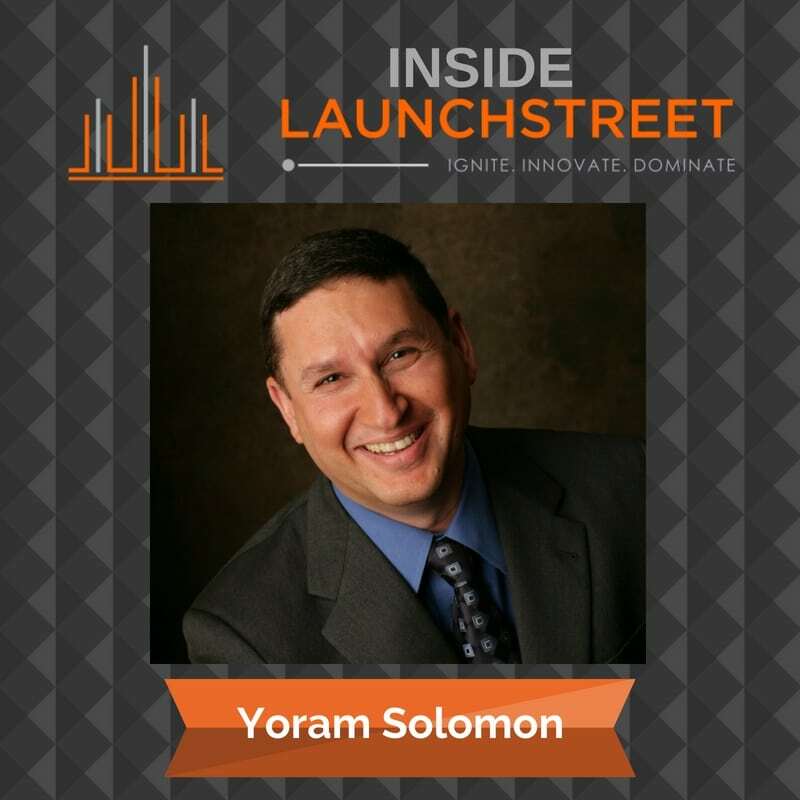 Yoram is the founder of the Innovation Culture Institute. He has published 8 books, 22 patents, more than 200 articles, and was one of the creators of Wi-Fi and USB 3.0. He was named one of the Top 40 Innovation Bloggers in 2015, 2016, and 2017, and was a columnist at Inc. Magazine and Innovation Excellence — and much more. We dig into the elements that make up real cultures of innovation at the not-so-invisible level. [:54] Tamara opens the show by asking listeners if you have ever wondered what makes a real culture of innovation? How do you build accountability, autonomy, and innovation? Go to LaunchStreet and take the IQE Assessment so that you know your unique way of innovating. It starts with you! You can add to the culture. [2:37] You might be surprised that Yoram and Tamara both have coached in the Destination Imagination program. [5:34] Yoram’s Ph.D. examined why people are more creative in start-up companies versus mature ones. Listen in as Yoram discuss how his research led him to a few truths. First, if you don’t have a culture of innovation, you will not be innovative. Second, This is not a money issue. Money doesn’t buy the innovation culture. He believes that on a team level, it's the ability to conduct constructive disagreements. [9:20] Yoram believes that the culture starts in the education system. We educate for accountability. [11:48] Tamara asks if extrinsic motivation actually kills creativity/innovation. Do incentive programs work? Yoram discusses the candle problem experiment. [15:11] How do you get the team to unlock the intrinsic motivation? Listen in to learn the importance of shielding your team from negativity. [19:51] Tamara reminds team leaders of the importance of giving your team room and the ability to be creative. [20:31] Yoram compares two CEOs and two companies. The biggest difference between massive growth and bankruptcy was cheerleading. Find out how to be the head cheerleader! [23:32] Teresa Amabile, of Harvard Business School defines autonomy as not letting your employees decide which mountain to climb. It’s letting them decide how to climb the mountain. Tamara reminds listeners that we all innovate differently. Take the IQE Assessment to find out your innovation power triggers. Yoram’s power triggers are inquisitive futuristic. [25:48] Tamara shares that as a team, we can get up that mountain together. [26:24] Yoram shares three steps to conduct a constructive disagreement. First, be vulnerable. Second, be willing to give direct feedback. Third, be receptive/listen to feedback. Tamara brought up the myth that we need to surround yourself with people that say yes, and… We also need the people that disagree with you and poke holes. [29:34] How can we train in constructive disagreement? Yoram shares a powerful lesson from the TV series, The West Wing. Ainsley Hayes, a young Republican lawyer, questions why the democratic president would want her to work for him. The president wanted to surround himself with smart people who disagree with him. [32:12] Why do you get your best ideas when you’re in the shower? How do you create an environment where accidents happen? Yoram shares four steps to create new ideas. One: Immerse yourself in things outside of your comfort zone. Two: Relax. Let ideas incubate. Three: Engage in intense activity. Your brain needs to go neutral from high intensity. Four: Relax in the shower. Let the ideas flow. [38:48] Sarcasm uses the same area of the brain as creativity. When you have a well-bonded team, it can use sarcasm. [40:25] Why is trust the underlying element on the team? Yoram has developed a formula to help others build trust. [42:38] Connect with Yoram on the Innovation Institute's homepage. [42:59] Yoram’s final piece of advice on how to build trust within an organization is that it starts with building trust. [45:42] Tamara really liked the discussion about autonomy, accountability, and disagreement. She invites you to go to the blog and check out the videos and articles on building a culture of innovation.